It's a question we almost never ask out loud. Yet, it is a question central to the lives of Christians who regularly gather together for worship. Do you sing to God? Or do you "address one another in hymns and spiritual songs," as the Scripture says? Do you close your eyes? What is your posture in worship? This book is designed with these questions in mind. Or maybe you don't sing at church--or if you do, not with very much enthusiasm, hoping to hide behind a wall of sound. After all, not everyone sings at the same skill level, same rhythm, or pitch. 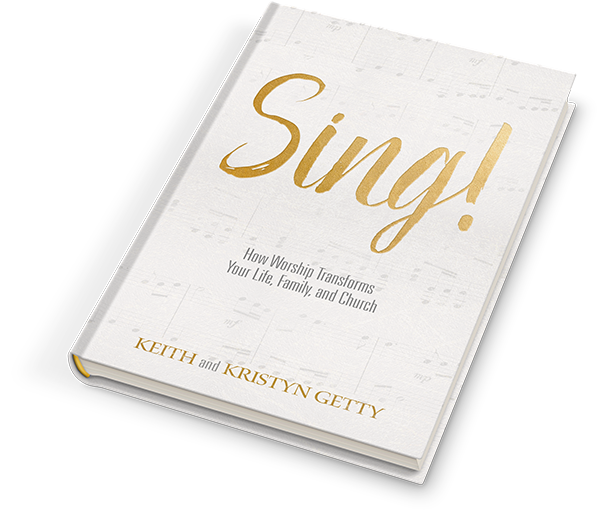 Authors, lyricists, and worship leaders Keith and Kristyn Getty write to church members to remind them why the Church should sing, when the Church should sing, and how the Church should sing. A congregation that gains a greater understanding of why they sing won't dread a worship service, with arms crossed and shoulders slumped, but see singing as an opportunity to proclaim the gospel together in obedience to God. Sing! guides individual church members together with their congregation on a campaign to declare with one voice, "This is why we Sing!." "Here is a book worth buying. Filled with biblical, practical insight that, understood and taken to heart, will revolutionize congregational singing." "With a rare combination of theological insight, the lessons shapedby years of practical experience, and remarkable readability, this book is simultaneously evocative, informative, and accessible." "Keith and Kristyn Getty are good friends of mine and good gifts from God to His Church. They teach, help, and lead us to sing in a way that reveres the holiness of God, resurects the Word of God, edifies the Church of God, and compels us on mission for God in a world that desperately needs to know His glory." "Sing! is not just a book; it's a revolution. The music of Keith and Kristyn Getty has been a movement in our churches. Now this book will take the movement from the platform to the congregation. What a gift the Gettys are to our churches. What a gift this book is for our churches' future." "This book reminds us that often the most effective means of catechizing our children will come as we teach them the great truths contained in the lyrics of the songs, hymns, and spiritual songs we sing together as a family. I'm hoping this book will motivate more moms and dads to make sure their children memorize the songs of Watts, Wesley, Toplady, and so many others." "Few capture the vision of the true purpose of congregational worship like my friend Keith Getty. In the same way his songs have blessed us for decades, this book is a gift to the church and inspiring to anyone who longs to understand how near our corporate song is to the heart of God." "It's one thing to sing a praise song to God by yourself; it's quite another when Christian friends join in with harmony. God designed and created us to sing together! 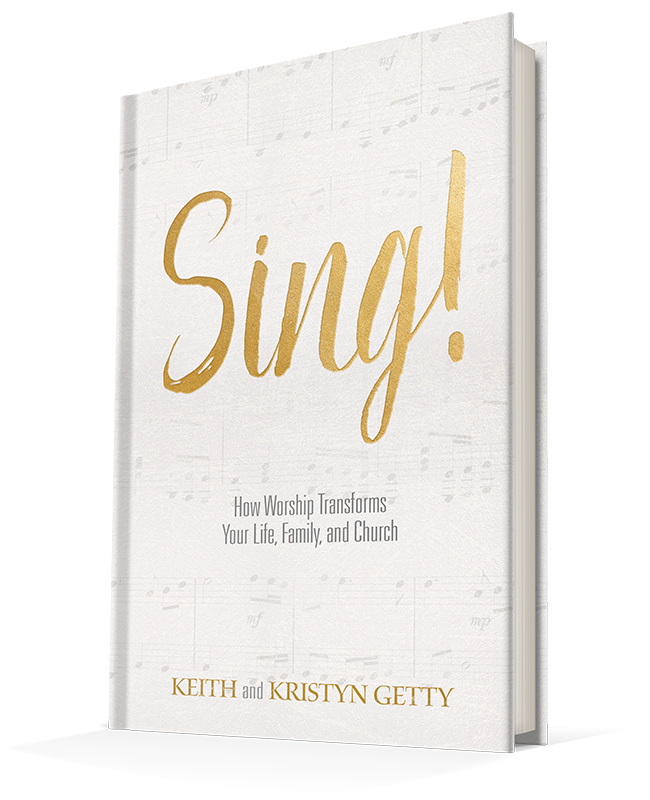 Keith and Kristyn have a passion to get the church singing communally with voices blending in sweet accord, and their remarkable new book Sing! serves as a practical guide to reintroduce the church to classic and current hymns of the faith. You can help bring a fresh, Spirit-blessed ministry of music to your small group or congregation, just using the book you hold in your hands... so flip the page and get singing!" "I love Keith and Kristyn Getty! As friends. As songwriters. As worship leaders. They never fail to uplift and inspire my heart tosing! I pray that not only their music but this book will do the same for others." "The Gettys are a precious benediction from heaven to enrich our praise. They have been used by the Lord to provide theologically rich, singable music for the church in this generation. More than anyone else they have led in the long awaited revival of hymns which have always been the true music of the church." "I know of no book that does what the Gettys book on congregational singing does. It is informative, convicting, and motivating and every pastor and serious Christian should read it." "Congregational singing seems to be the biblical command that many have forgotten. Here in Sing! the Gettys tell us why it matters and how to bring it back. You and your church need this book." "Singing gives voice to a heart that deeply knows the gospel of grace." Available for $5 per book in a box of 20 if ordering through select retailers. "We are a singing people because the gospel of the Lord Jesus compels us to sing." 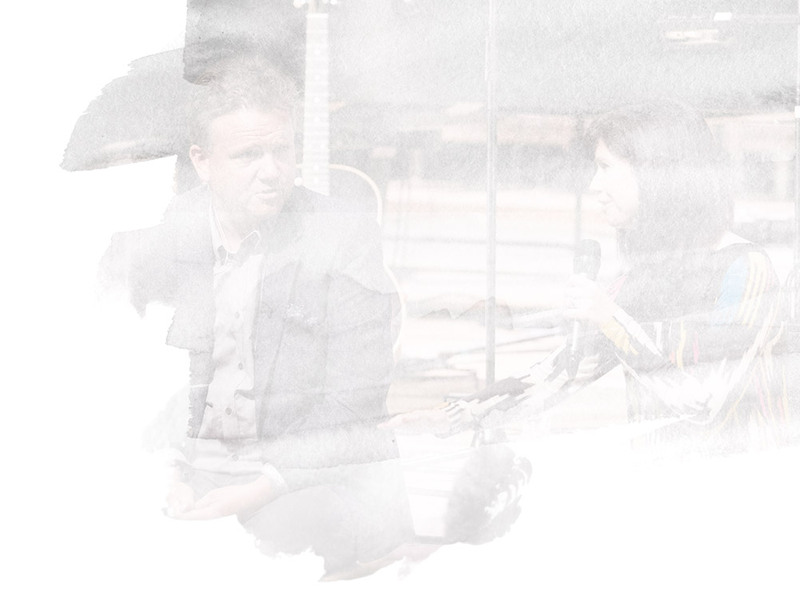 Keith and Kristyn Getty occupy a unique space in the world of music as modern hymn writers, international worship leaders, and conference speakers. Perhaps best-known for the modern hymn, "In Christ Alone" (written by Keith with Stuart Townend and performed by Keith and Kristyn), the Gettys have reinvented the traditional hymn form and created a catalog of songs teaching Christian doctrine and crossing the genres of traditional, classical, folk, and contemporary composition. Keith and Kristyn live between Northern Ireland and Nashville Tennessee with their daughters, Eliza Joy, Charlotte, and Grace. For press inquiries regarding Sing!, please contact Jenaye White at jenaye.white@lifeway.com.